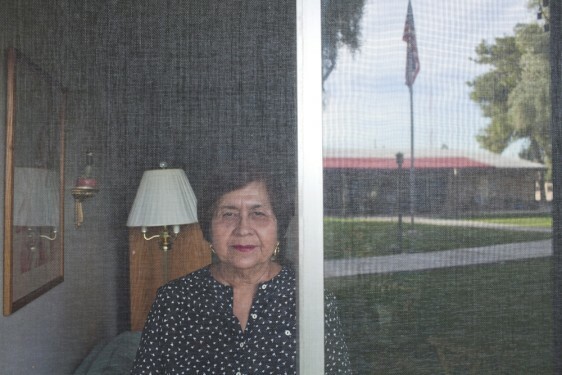 Mary Noriega, 64, she says she never experienced bullying until she moved in to Pine Towers, a HUD-subsidized apartment building for senior and disabled people in Phoenix, Arizona. She said there are between 10 and 20 residents who make up a "controlling group," and that they conspire to isolate her. She says they've spread rumors, including one that she'd been evicted from her previous residence — although she can show letters of recommendation from previous landlords. She curtails her activity at the property, avoiding the laundry facility if others are present and staying out of the recreation room altogether. "It's hard 'cause I've never had to deal with it before. It would be easier to take if there was any truth to it."